La Casa dei Limoni also showcases its unique style in the realisation of flat structures such as bioclimatic pergolas. The uniqueness and exclusivity of their design recall the glamorous and luxurious style that accompanies every piece of furniture by DFN. We are presented with a product that is the result of constant research and a profound interest concerning both the functional value and the quality of its aesthetic character. 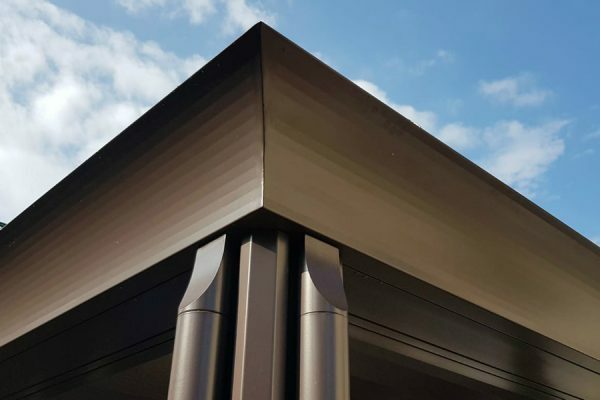 An unrepeatable style, elegant lines and precious decorations come together to create a distinctive and rare design that creates iconic objects that enhance outdoor environments. 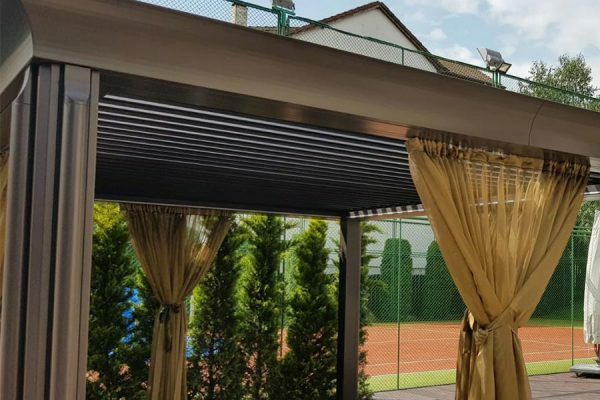 For the first time, the technological and functional aspect of the bioclimatic pergola combines a great decorative value with cornices, pillars, capitals and bases that embellish the structure and give it an unquestioned stage presence, one-of-a-kind. Bioclimatic pergolas are the ideal solution for experiencing and protecting outdoor spaces. 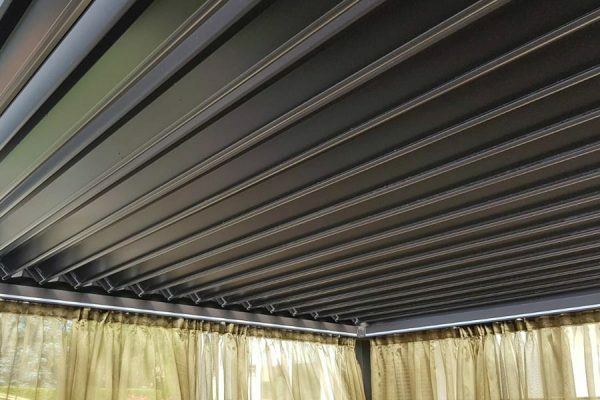 The movement system of the panels that make up the roof is the most characteristic technical feature of these structures. In fact, the adjustable motorised panels guarantee absolute protection from the elements, regulating the solar intensity and favouring natural ventilation. Slightly open, they encourage air recirculation, maintaining a shaded space and avoiding the greenhouse effect. In case of bad weather, the pergolas can be closed creating a shelter from rainwater that flows through the columns. The evacuation of water, through the columns, is also guaranteed when reopening them after a downpour. Their total closure also allows complete protection from the sun. 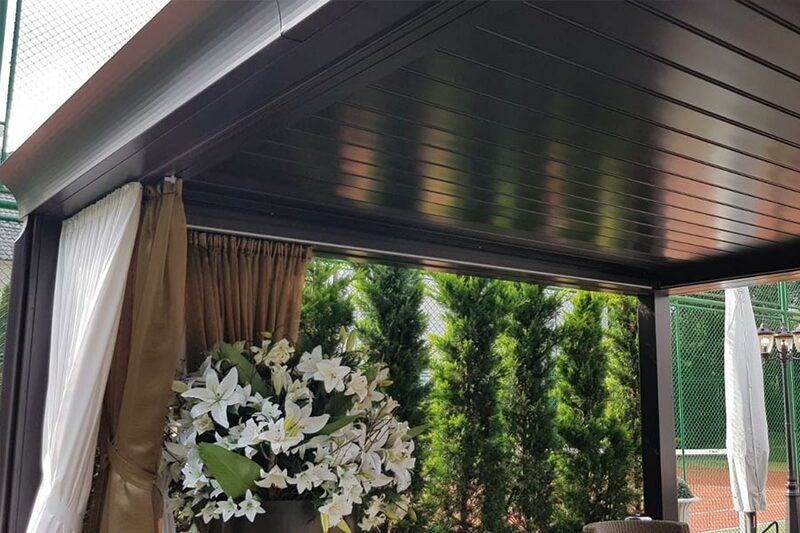 Thanks to these panels and to the possibility of closing the perimeter sides with sliding or fixed glass windows, in addition to the option of inserting technical or decorative curtains, you can create your own ideal environment according to your needs. 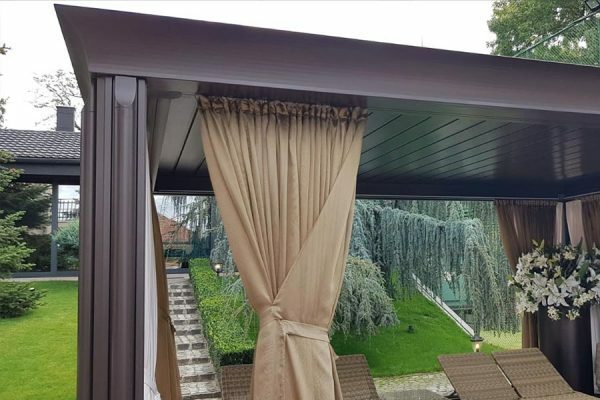 Bioclimatic pergolas, if properly equipped, can, in fact, be inhabited all year round. 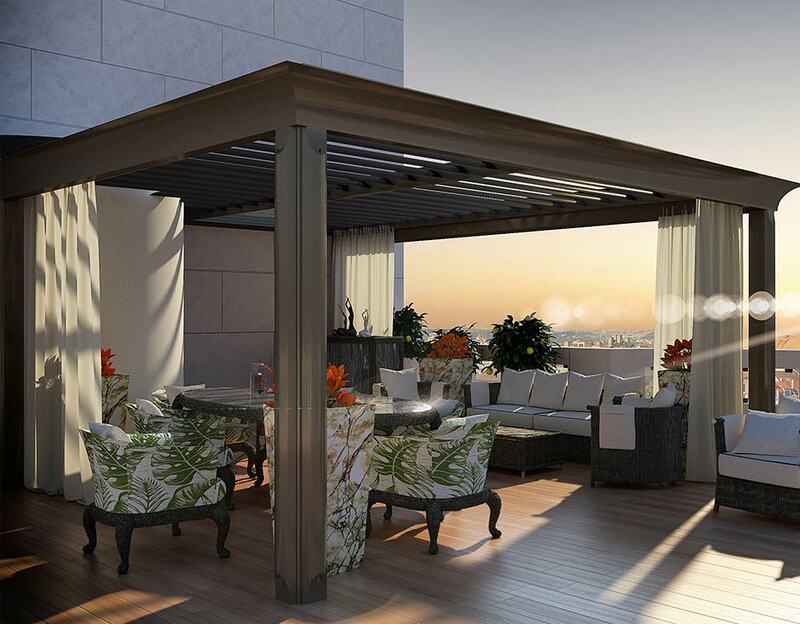 The pergola creates particularly elevated comfort thanks to the variety of accessories that can be installed inside. There are weather sensors for rain and wind that automatically close the panels. A kit of LED lights that can be positioned inside, outside or on the panels, illuminates the space with extreme poetic quality and elegance. Infrared heating systems and audio systems create comfort and the ideal atmosphere. The possibility of inserting glass doors and windows permits an elegant and sophisticated design, as well as practical and functional comfort. The bioclimatic pergola is quickly installed and has various configuration possibilities. It can be a free structure or lean against the house, and there are no dimensional limits concerning its modularity. 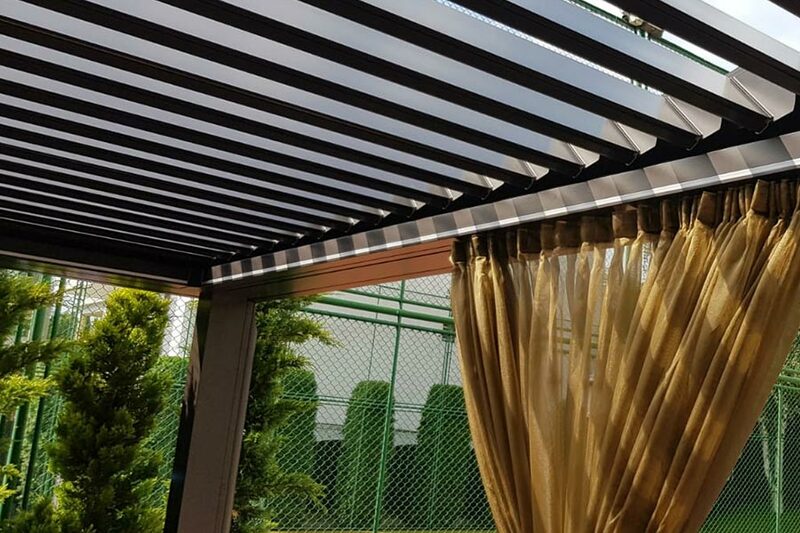 DFN realizes custom structure suitable for every kind of outdoor environment, in order to satisfy all the client’s needs. 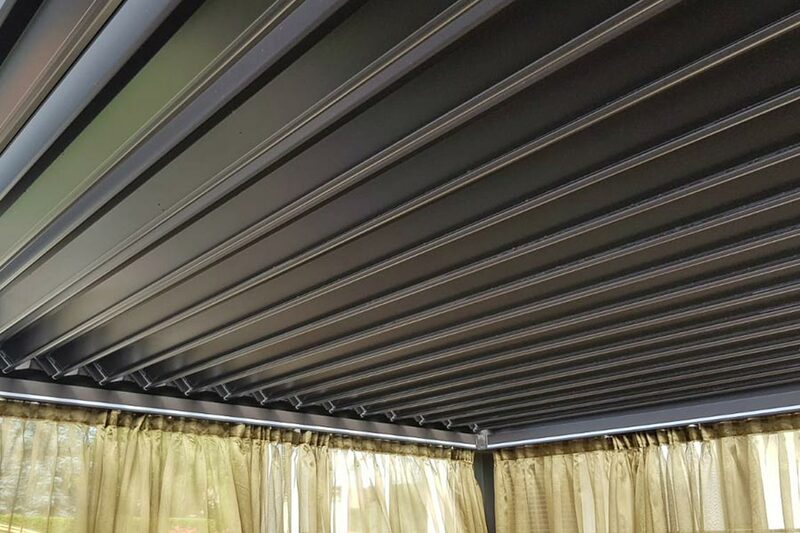 There are no limit for the creation of a structure: in fact, the company, together with a wide range of combination already inside the collection, can realize more proposals based on the client’s specific requests. Style, materials and dimensions are decided according to the client’s needs. An exclusive service that DFN guarantees with the purpose of answering to the requests of an expert and careful clientele.